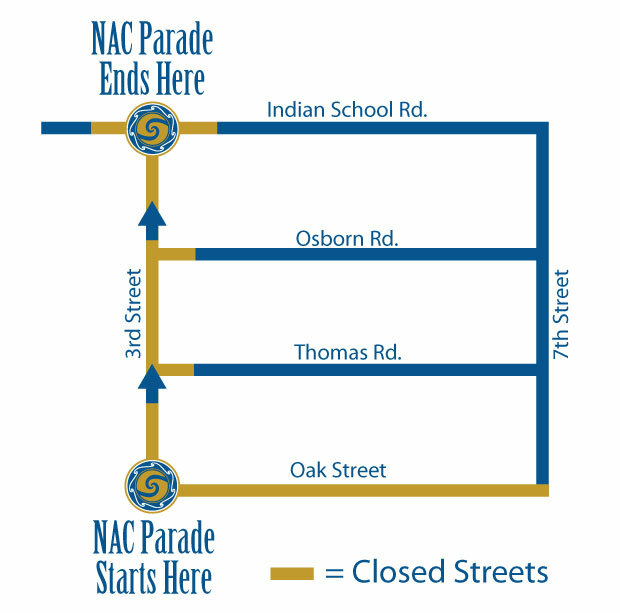 Parade will start at 9:00 am at 3rd Street & Oak and travel North on 3rd Street to Steele Indian School Park at Indian School Road & 3rd Street. Parade road closures will start at 5:00 am and continue through 11:30 am. The area from McDowell to Indian School, Central to 7th Street will be restricted to local traffic only, as will Indian School from 7th Street to Central Ave.
For more information about the road closures please contact us using the "Contact Us" page.